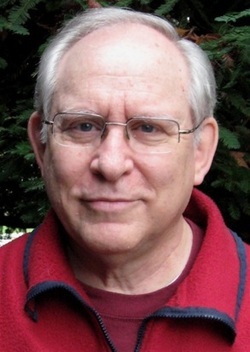 Drawing from selected chapters of his popular introduction to Buddhist thought and practice, Jon Landaw will present a series of four Sunday morning talks at Ocean of Compassion Buddhist Center during the summer of 2015. Although they are designed to form a cohesive series, each of the talks is complete in itself, and they are all open to everyone: those who are completely new to Buddhism, advanced students, and everyone in between. People who are interested may attend any one, two, three or all four of these sessions as they wish. Questions are welcome and encouraged. Jon Landaw was born in Paterson, New Jersey, in 1944. He received his A.B. degree in English Literature from Dartmouth College in 1965 and spent three years teaching English as a Second Language with the Peace Corps in Iran (1966-69). Jon worked as English editor for the Translation Bureau of His Holiness the Dalai Lama in Dharamsala, India at the Library of Tibetan Works and Archives (1972-77) producing numerous texts under the guidance of Geshe Ngawang Dhargyey. As a student of Lama Yeshe and Lama Zopa Rinpoche since the mid-1970's, he has edited numerous works for Wisdom Publications, including “Wisdom Energy” and “Introduction to Tantra.” He is also the author of “Prince Siddhartha,” a biography of Buddha for children, “Images of Enlightenment,” published by Snow Lion in 1993 and “Buddhism for Dummies”. As an instructor of Buddhist meditation, he has taught in numerous Dharma centers throughout the United States, Europe, Australia, New Zealand and elsewhere. Jon is known for his ability to present traditional Buddhist ideas in ways that are accessible and relevant for everyday life. He and his wife currently live in Capitola. Our ability to continue offering these teachings is dependent on the generosity of donors. If you find this online content useful and you are not already attending the teachings in person, any donation would be greatly appreciated. Thank you for your kind support. Registration at the Door: $15 per class or $50 for the entire course (four classes) if paid in full on the first day of class. Your generous donations are essential for the continuation of programs like this. No one turned away due to lack of funds. Please contact us to make arrangements. 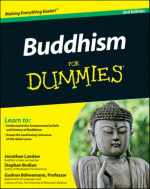 A limited number of Buddhism for Dummies books will be available to students at a discounted price.